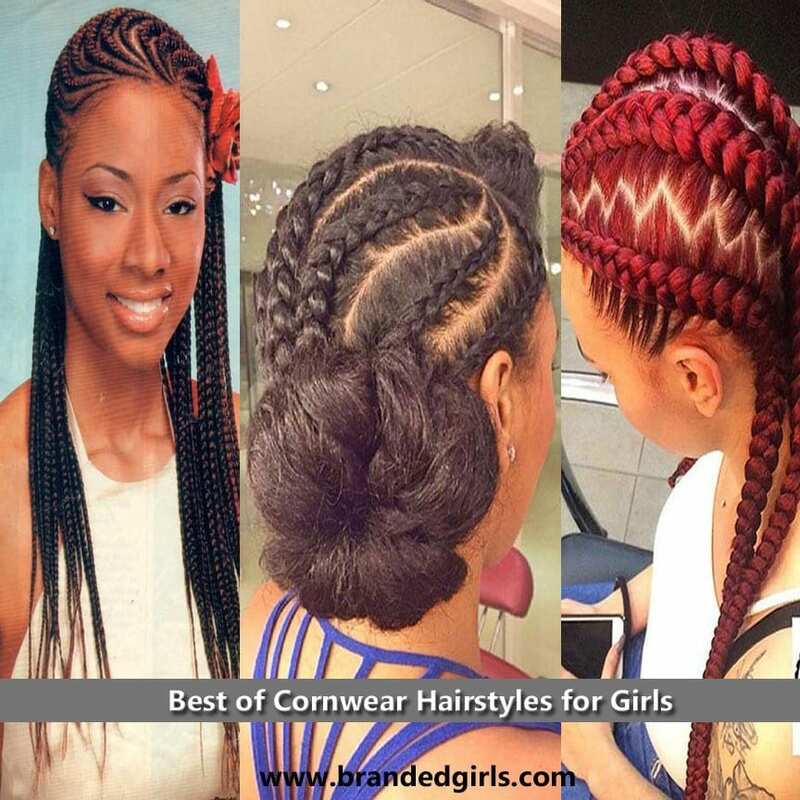 Cornrow Hair Styles for Girls. 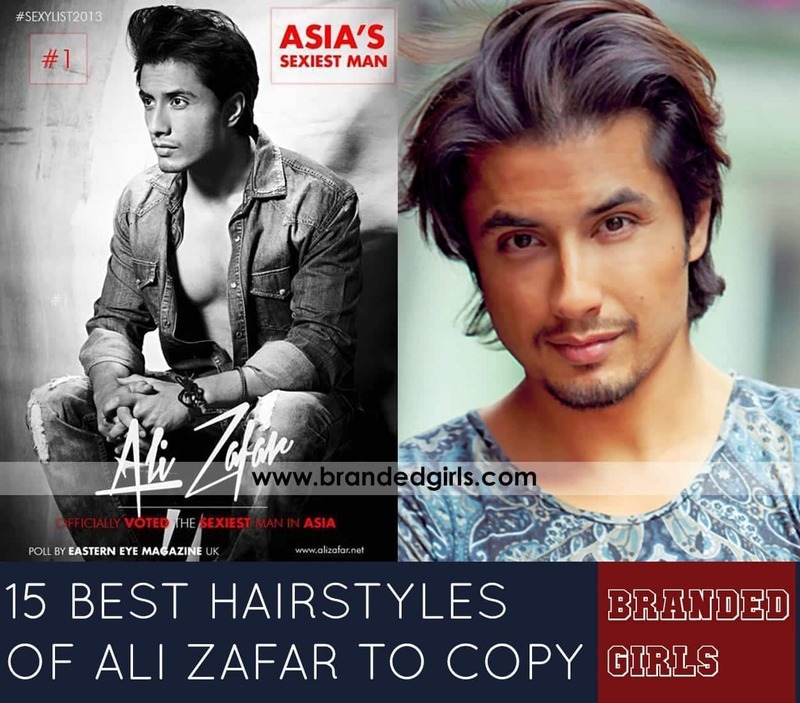 Just because you do not come into the category of having silky blond hair, does not mean you lagged behind the act of nailing cool hairstyles. 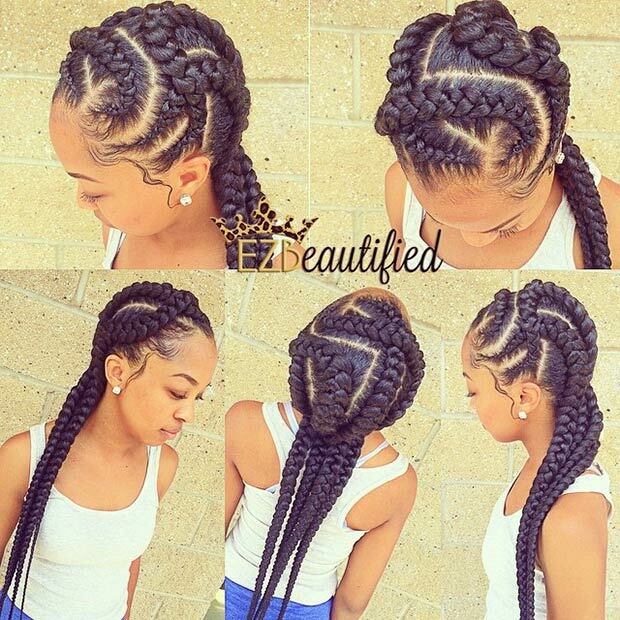 Here we suggest some cool, classic and timeless hairstyles – mainly cornrow hairstyle ideas for hair that’s made for them. 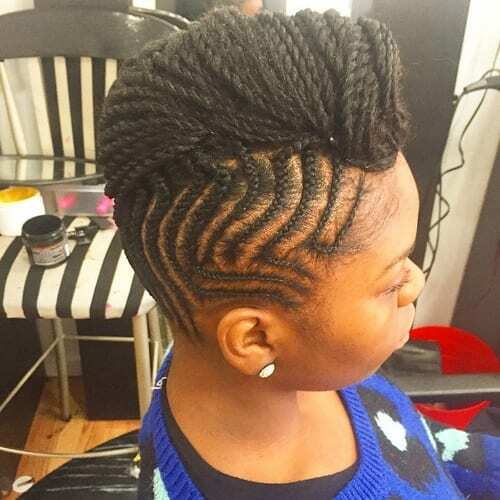 Scroll down for 20 amazing cornrow hairstyles for all occasions. 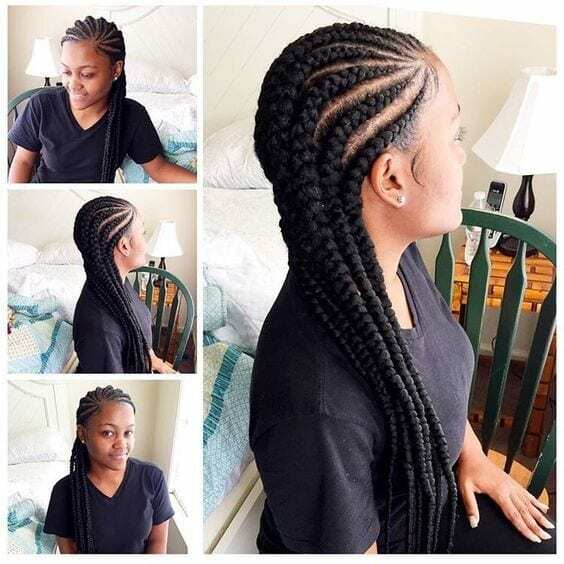 Girls with long, thick hair can achieve the beauty of this style by doing nothing but getting the edge of two-stand twists and they are good to go. 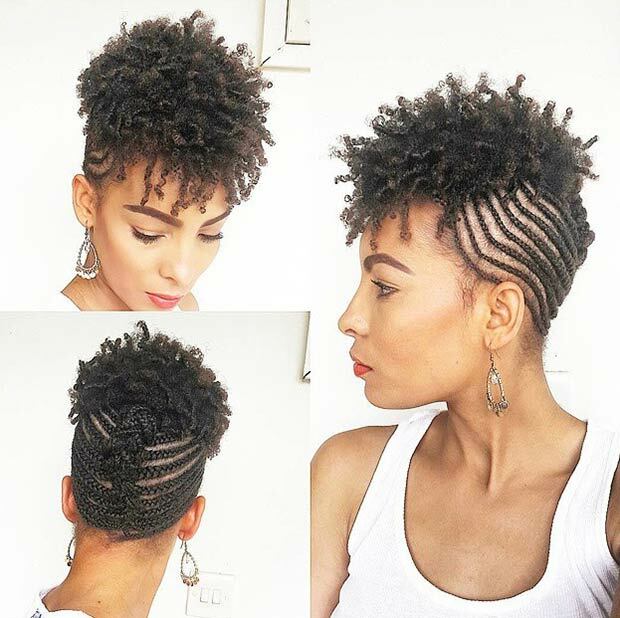 Don’t forget to check out 25 cute short curly hairstyles for Black women these days. 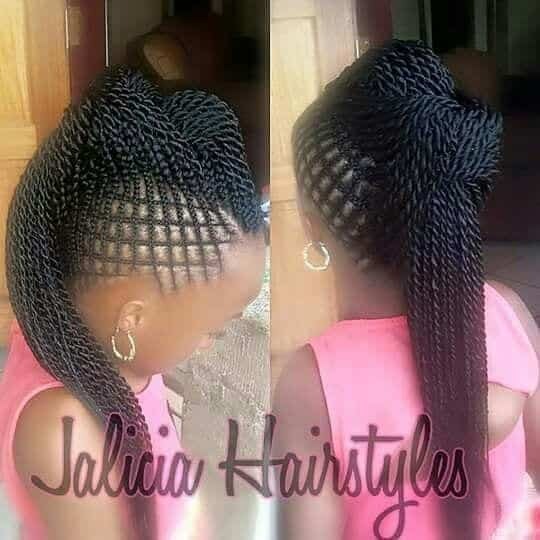 Avoid the hassle of deciding over a braid or a twist; just combining the two will result in a supremely unique back hairstyle. 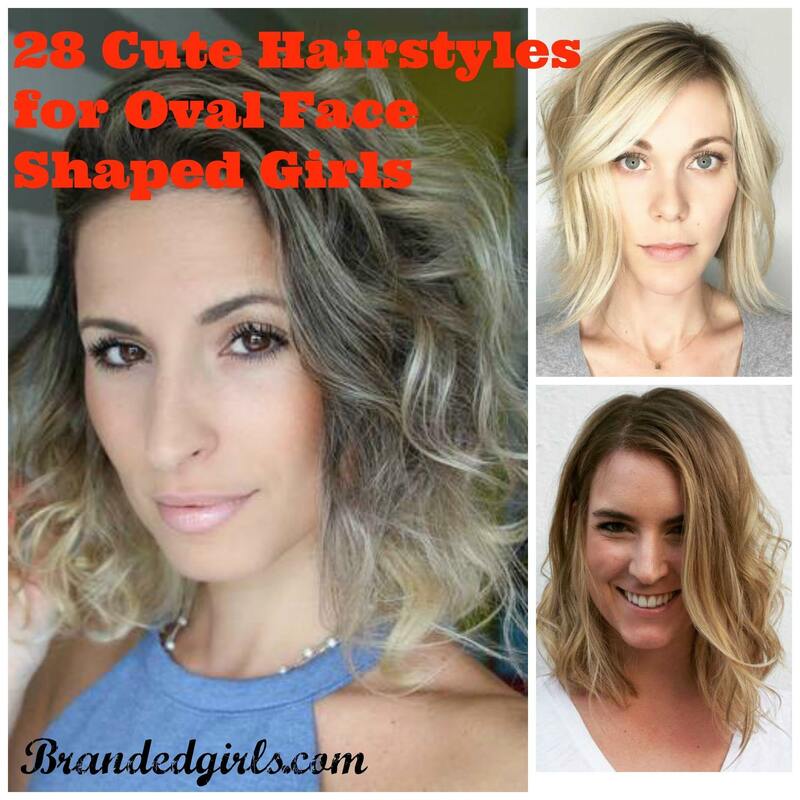 Get the uncomfortable bulk of your hair turn into something classic and wonderful. 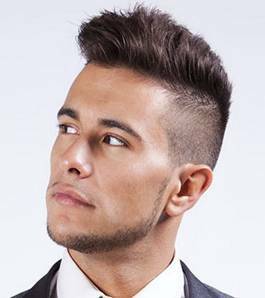 It works exceptionally well with mid-length hair and adds a very unique prominence to your facial outlook. Cool and stylish for a night out. 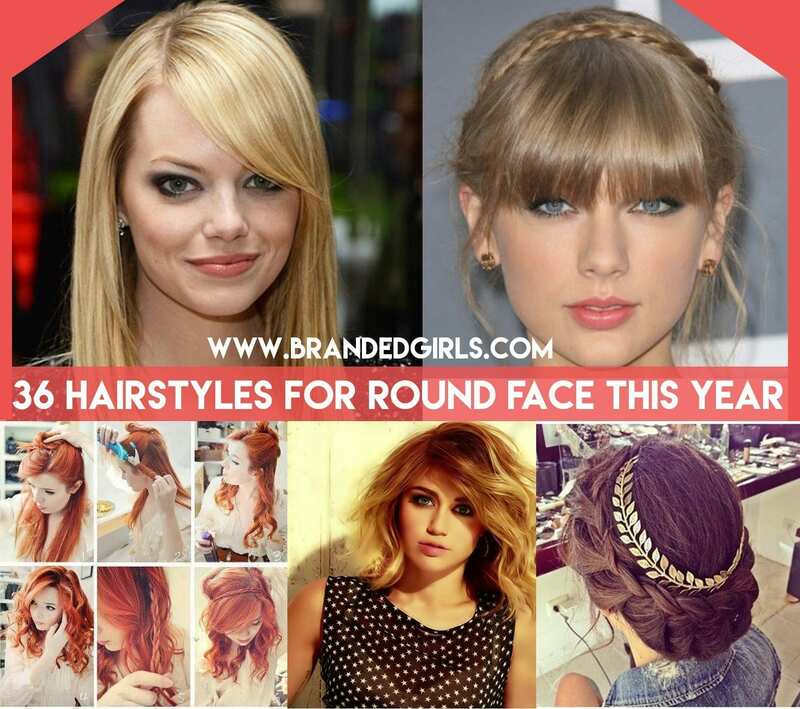 Works great for a formal party due to the extreme chicness and glamor in this hairstyle. 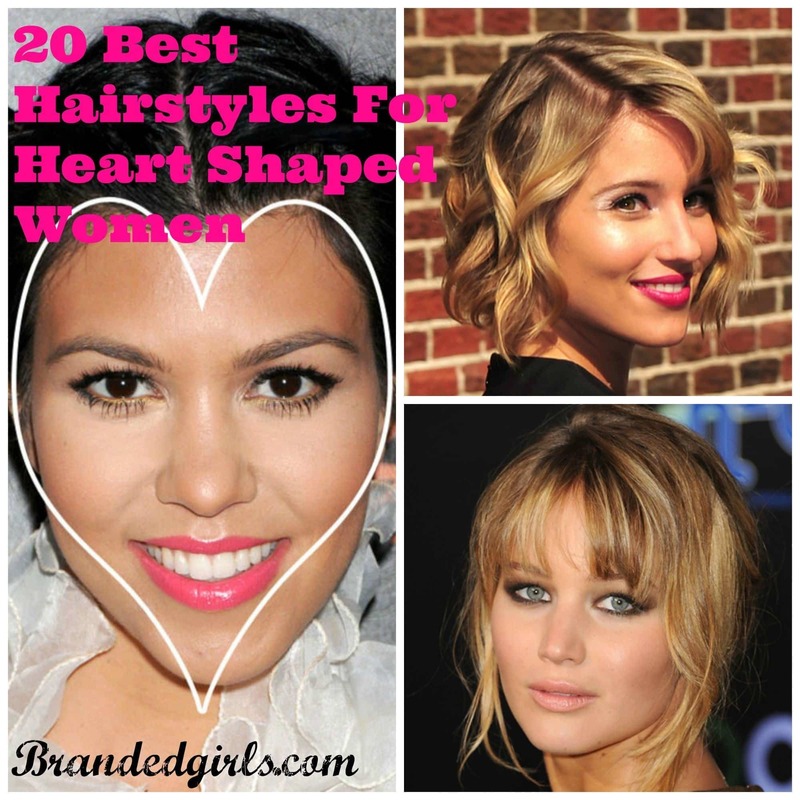 Show up with classiest hairstyle and keep eyes on you for a bit longer. Get the magic out of this unique numerous braid cornrow style with ease. Also have a look at Simple Party Makeup Tips for Black women to look gorgeous. 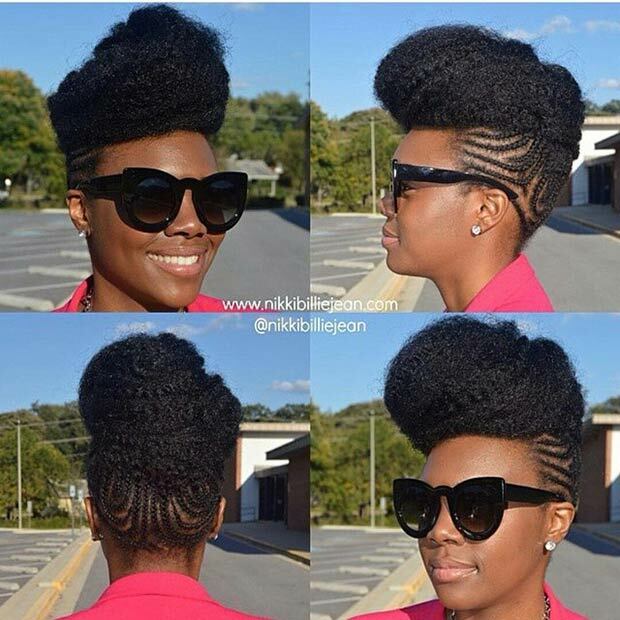 The gorgeous rolled Mohawk braid style will keep your hair intact with ultimate style and perfection. 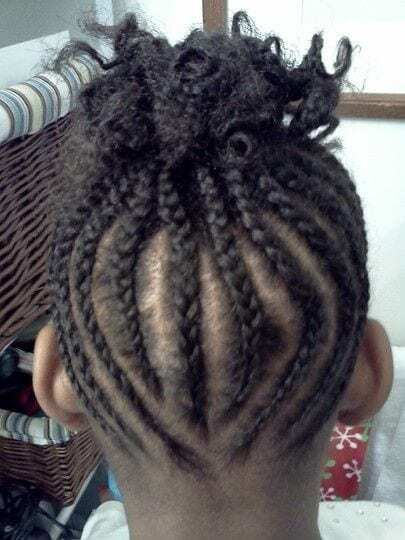 Moreover, smaller braids last longer. 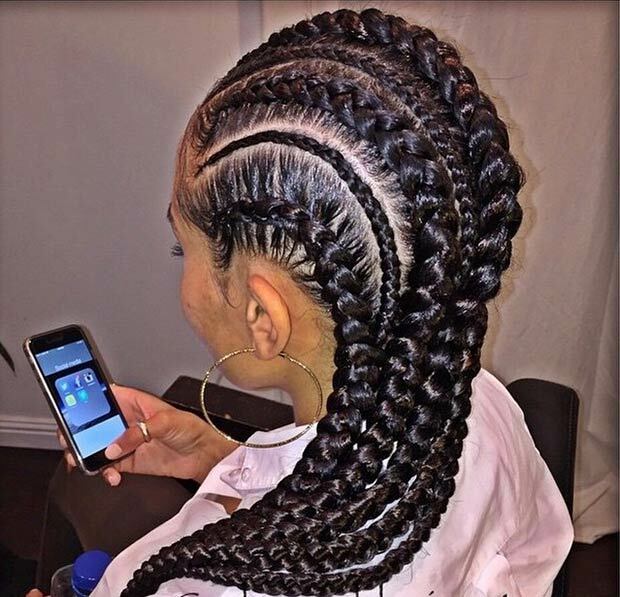 The immensely cool cornrow hairdo in the form of a messy bun will surely save you the discomfort of a bad hair day. 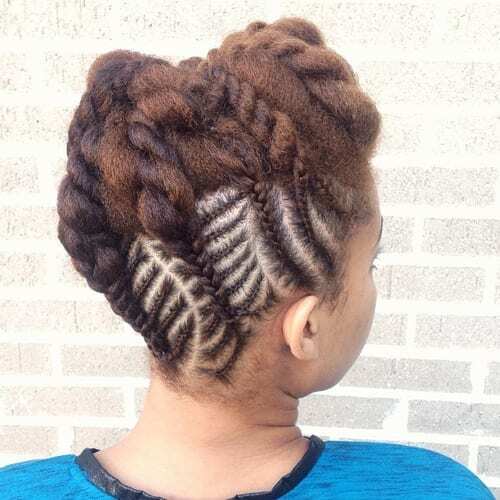 Cornrows do not have to go from all sides, it can also be a unique side swept look and we can assure you that it would be equally awesome. Do have a look at our compilation of the 10 most beautiful African women in the world – Cute African ladies. 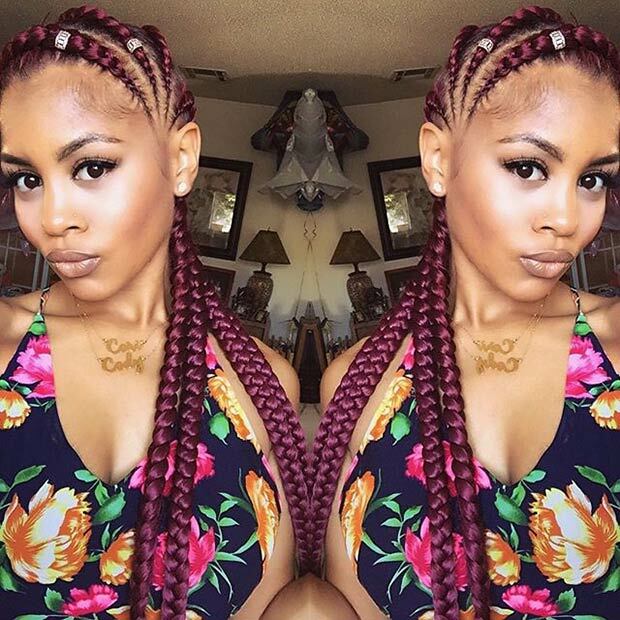 So as a savior, this stunning kriss-cross cornrow braid is up for summer hassles and struggles. 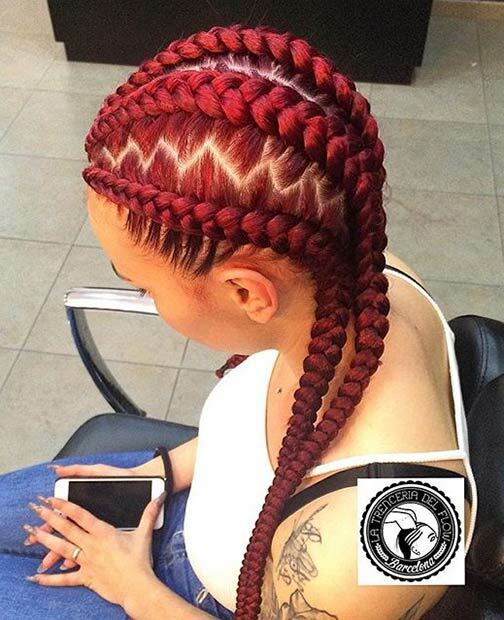 Nothing can be as cool as red hair, especially if a unique hairdo like this is in combo. 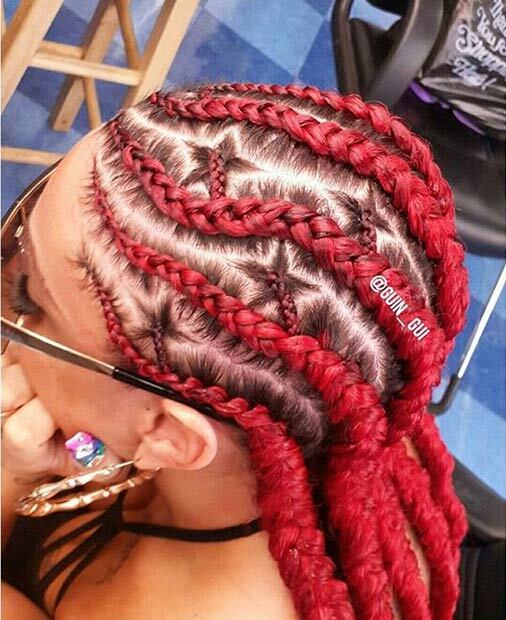 Way to go cornrows. 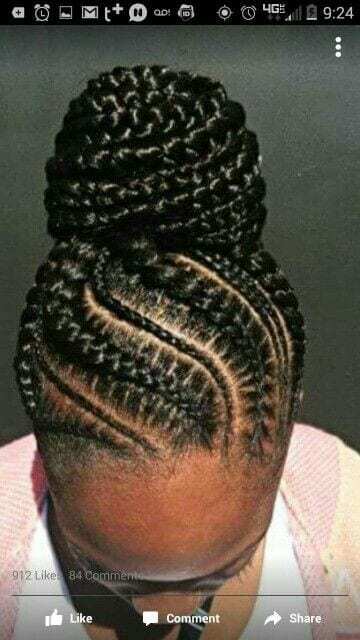 At a formal party, prom night or anywhere, where you need an extremely classy look, then this chic corn updo will be the right choice. 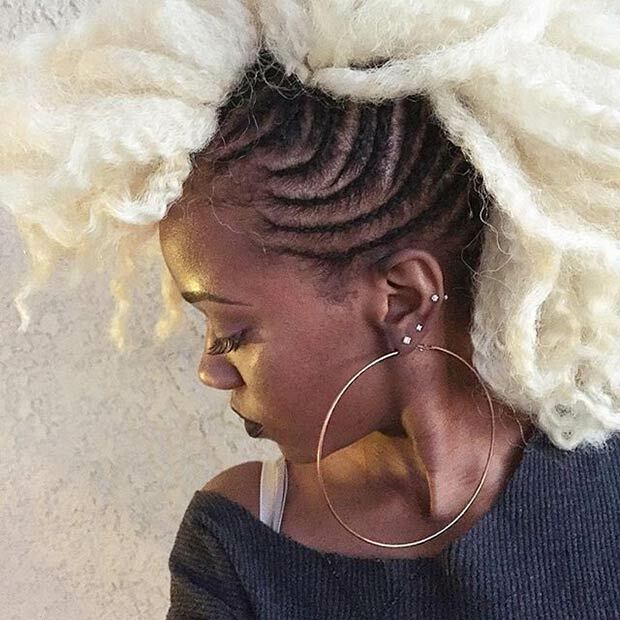 Hairstyle can be wildly unique and wondrous, and yet this is one of those examples. 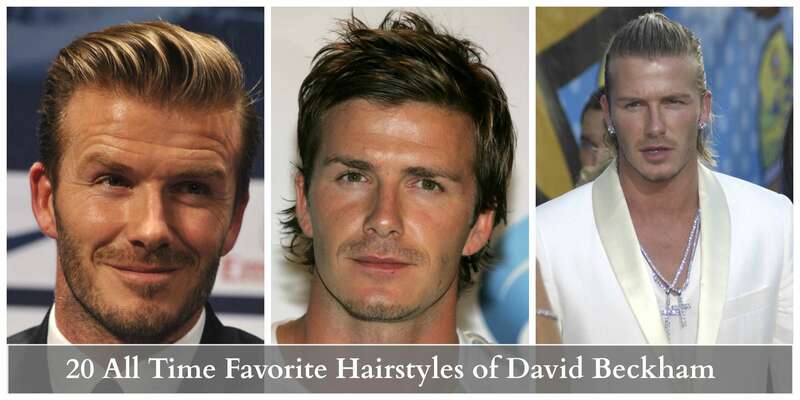 Stars in hairdos? We are up to it. 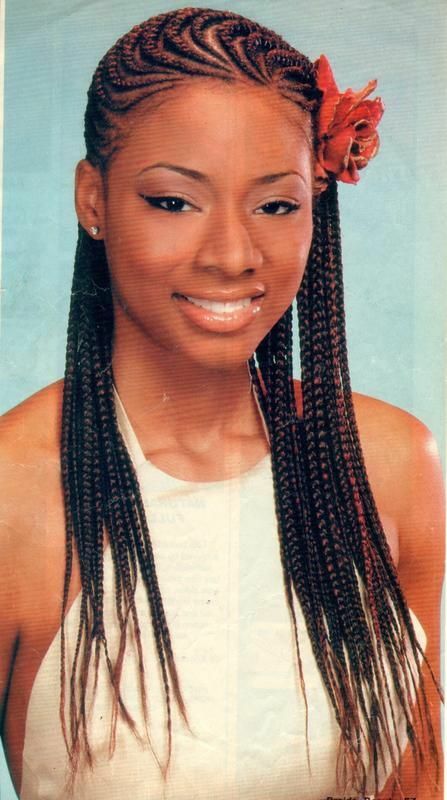 If you in case, tend to show up in parties with the fanciest get-up, then yes, this hairstyle is for you. 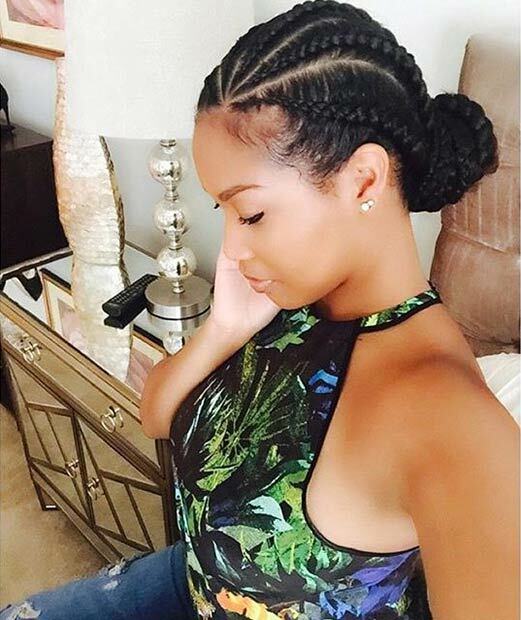 Braids on Fleek are surely the classiest way to wear a perfectly created cornrow braid. 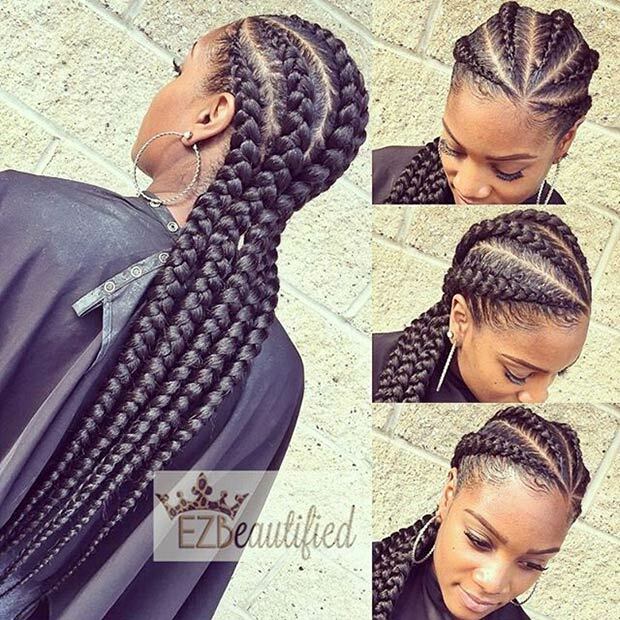 As the name indicates, it originated in Africa for all the classic African women and is still in trend. 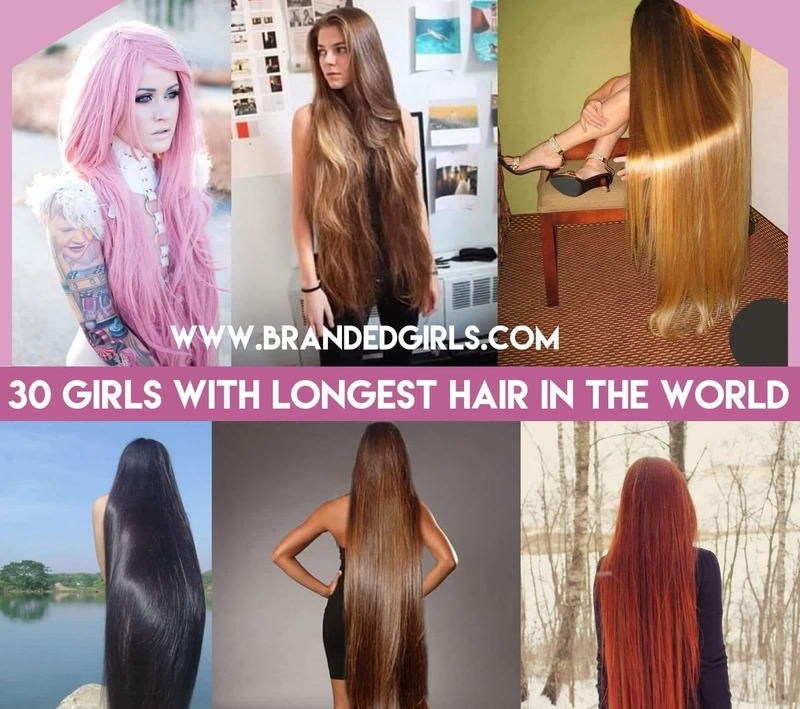 Girls do not often get the chance to clad their thick long hair into something like this, but when they do, it turns into this. 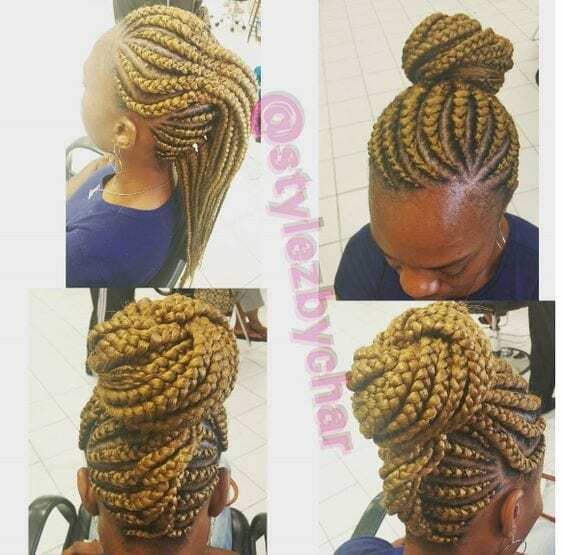 Get the utmost class out of cornrow theme with this beatific and elegant cornrow bun. 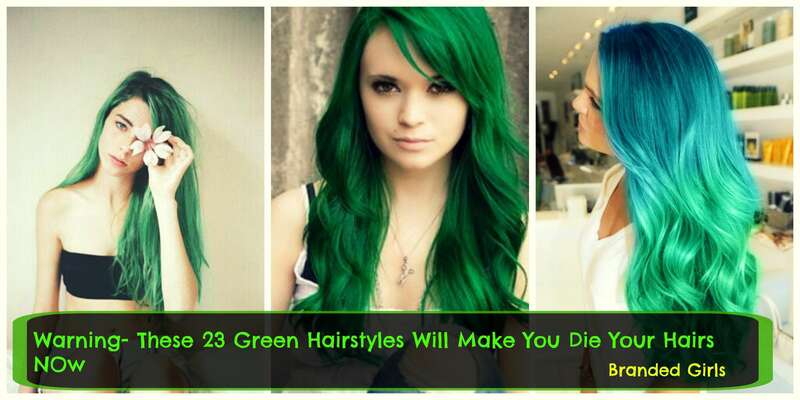 Can be quite complex but nevertheless, gives chicest results. 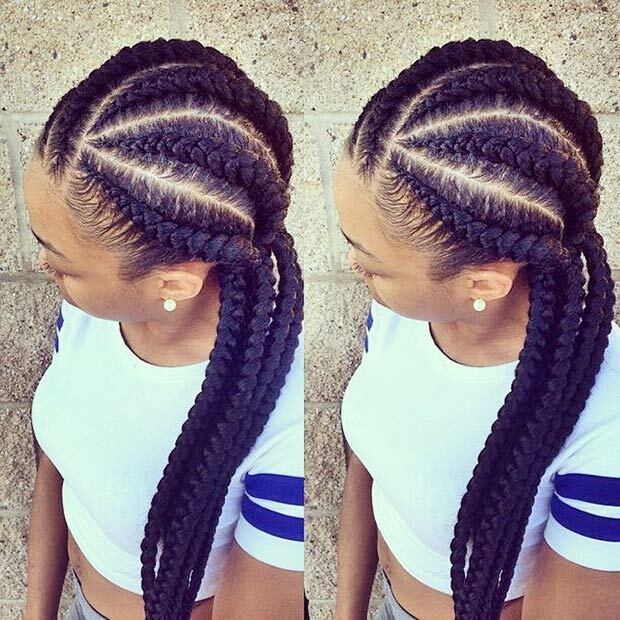 Always go easy on making cornrow braids to give off a more natural and decent outlook.